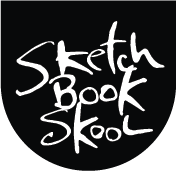 What with this, that, and lots of the other, I haven’t gotten around to telling you about a brand new klass I am teaching in the new Kourse at Sketchbook Skool. So I shall. But first, let me show you a little film about the kourse and its fakulty. I also wanted to tell you what I was thinking in putting it together. This has actually been harder to do than I thought (the telling, not the putting together). In fact, this is the third film I’ve made on the subject this week and I hated the first two. So this time I shall just turn on the camera and see what comes out. If it’s boring, don’t worry. Polishing, I assure you, is not. I hope to see you in klass. It begins on April 15th and you can learn more about it here. Next Post A pox upon me. As a HUGE fan of graphic novels I’m very excited to learn that we’re going to be looking at graphic novel skills in your klass Danny. SBS just gets better and better! Next Friday can’t come soon enough for me…. “I see you haven’t taken the time to write less.” That statement really hit home for me, Danny. I think it could be applied to more than writing in my life. I appreciate your musings on video. Thank you for taking the time. I am looking forward to Polishing. I love your “slapdash” style~~~and your thoughtfulness. Thanks again for sharing. Take three is priceless. Also liked the quote from your first boss about not having the time to write less! Looking forward to the klass. You give me such confidence.. playfully ! Quite changed my life !! Art Before Breakfast. … and the soon to arrive, Shut Your Monkey ( loved your podcast with Artzany.),. ….will get me through. P.S. this dyslexic student would love an audio version of Shut Your Monkey. …….ya….in your spare time. I have a lot of catching up to do, but I’m glad to see that I will have a stash of classes to look forward to taking! Have to sign up to get my candle lit from Danny and company. REtiring in May to spend more time with art so Polishing is just what the doctor ordered!